Before I started my own firm, I was considering leaving the law in general to pursue a career in real estate. Law was getting so boring… was the light red, or was the light green? Was the person speeding? Are the medical bills reasonable and necessary? Do you think the court actually bothered to read my brief? Probably not, but I can’t blame them. The brief was meaningless anyway, and mostly copy / pasted from my last one. I’ll shut up and go bill some hours. But as fortune would have it, I had the pleasure of meeting Marc Randazza, First Amendment badass and author of a blog called The Legal Satyricon. I’ve never seen someone use humor, knowledge, and skill in such an effective way. Marc is a guy who writes with passion and inspiration. If I have learned one thing from my foray into “solo practice”, and from guys like Marc and Scott Greenfield, it’s this – anyone can do an adequate job. Even a good job. But it doesn’t take much more effort to do an excellent job. And when you strive to do an excellent job, you’ll be surprised at how much more enjoyable practicing law is. And you can do an excellent job on cases that may seem boring. If you’re going to do something, anything, make it awesome. From start to finish. Don’t just do a “good enough” job. Find some passion, get inspired, and then go destroy the opposition. Don’t be afraid to do things a little differently, or to be bold. There is nothing better than coming back from court with a few heads on a pike. 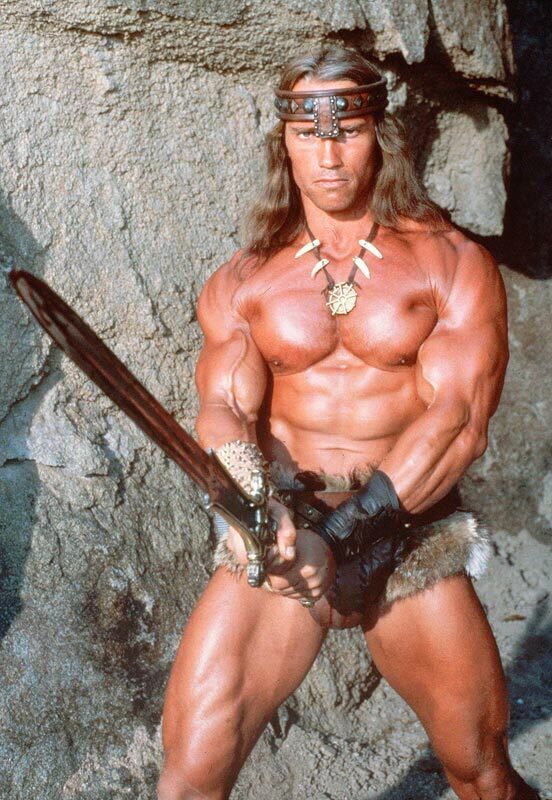 Or to crush your enemies, see them driven before you, and to hear the lamentation of their women. Without question, the Employment Reports are inconsistent, confusing, and inherently untrustworthy. The bottom line is that the statistics provided by Cooley and other law schools in a format required by the ABA were so vague and incomplete as to be meaningless and could not reasonably be relied upon. But, as put in the phrase we lawyers learn early in law school– caveat emptor. Thanks to Working Class Creative for Our Awesome New Sign. We have a new hand-lettered sign thanks to Working Class Creative. Click on the photo to see more of their stuff, or get in touch with them at workingclasscreative@gmail.com. Last week I wrote about Vincent Dispoto, who achieved notoriety by threatening a Kensington resident with a SLAPP suit for blogging about his criminal case and stating his property taxes are late. Vincent Dispoto wants to put a nightclub that serves malt liquor baby shower nightclub in the Kensington section of Philadelphia. Naturally, this drew some criticism and commentary from local residents, and now the criticism is drawing threats of a lawsuit. And you can read about the whole saga here. Some of you know our neighborhood message board, fishtown.us. Today Vincent R. Dispoto, Jr., a member of Dispoto Realty LLC, threatened a lawsuit against a fishtown.us poster called “Kenzo” in connection with his blog, Philadeliquency. Mr. Dispoto is a developer proposing a nightclub at 2644-58 E Huntingdon Street. The proposal has generated some criticism because it involves serving take out malt liquor. Kenzo had been critical of Dispoto’s proposal on the Philadeliquency blog, and pointed out that Mr. Dispoto was a defendant in the matter of State v. Dispoto, 189 N.J. 108 (N.J. 2007). The Fishtown Lawyers, counsel for Philadeliquency, have responded. A .PDF copy of our letter is here. Shameless Plug — I’m a Staff Writer for the Lawyerist. For those of you who haven’t yet caught wind, I’m now a staff writer for The Lawyerist. There, I’ll tackle the thorny issues surrounding men’s professional dress. Take a gander at my articles, where I like to begin with a fictionalized narrative, often at Jordan’s expense. The Law Suit — Professional Dress for Lawyers. Suit Colors for the Clueless. Leave comments and hatemail here or there. If you have an issue you’d like addressed in a future article, let me know. You are currently browsing the Philly Law Blog blog archives for July, 2012.